Raw Cheese-y Quackers. 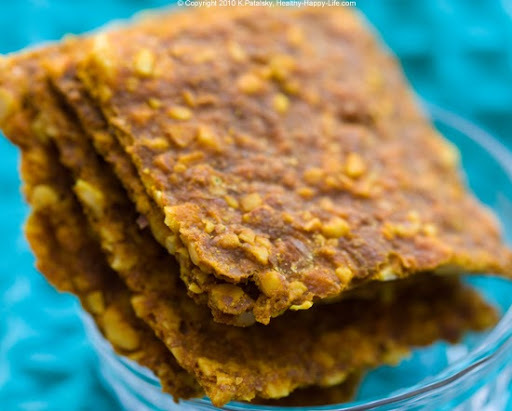 Better than Cheese Crackers! 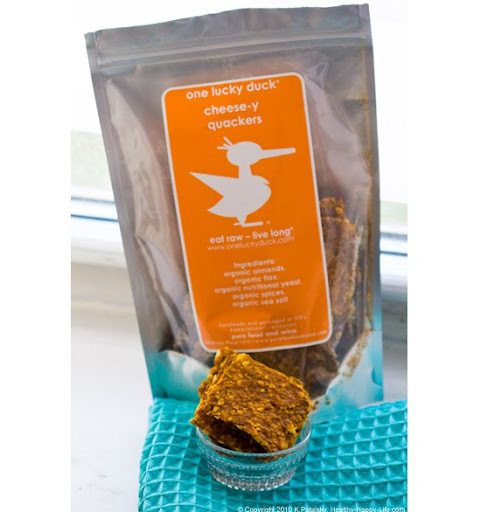 Except for the bright orange color, One Lucky Duck's raw vegan Cheese-y Quackers look nothing like processed cheezy-itzy/goldfishy type crackers. 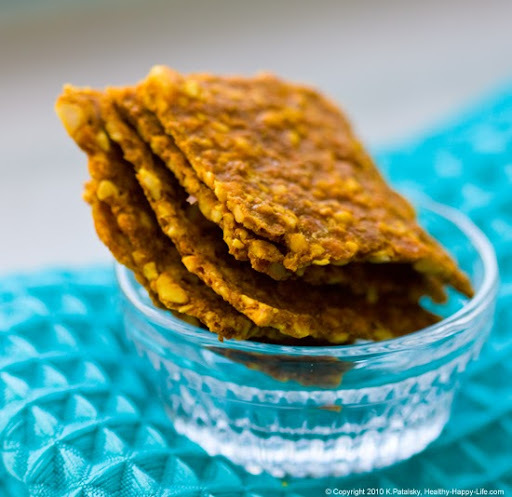 But believe me, these raw/vegan fake-out crackers taste quite similar to the processed dairy-cheese version. Well, sort've. These Quackers are way better! To Your Health. Sometimes I need to jump up and down and wave my hands in the air to get your attention. And the blogging equivalent of that is to write a passionate post that you will hopefully read, ogle and be inspired by. A healthy inspiration of sorts. So here is my soapbox plea... Try these Quackers! 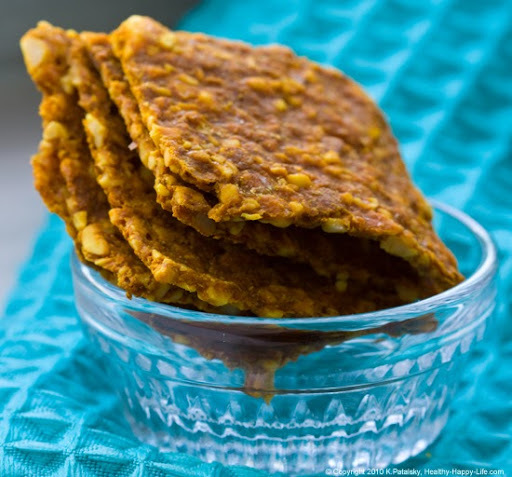 They may change the way you feel about raw vegan snacks. And yes, I know they are much more expensive than say a box of Cheeze-it's. But you get what you pay for my friends. 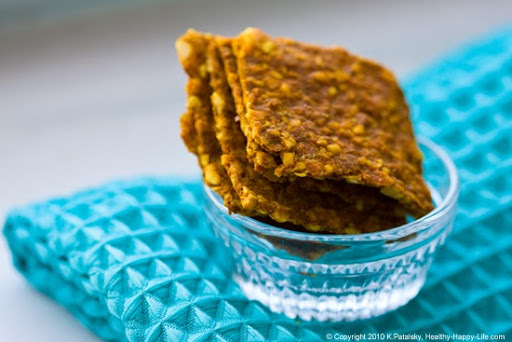 Just a few crackers and you will satisfy your craving and gain some serious raw-powered energy. So really, the price is worth it...because your health is worth it. Cravings. I received a tweet a few weeks ago asking me about a good sub for cheese crackers. I told her to try these Quackers. (hehe, I love saying Quackers.) Craving satisfied via this raw/vegan snack! And obviously, I also bought a bag of the Cheese-y Quackers. I plopped down on a nearby bench and had a few crunchy crackers before finishing my walk home. I was totally revived. And to think, I just had a shake and cheesy crackers. Ah, I love the guilt-free lifestyle that a vegan diet offers. 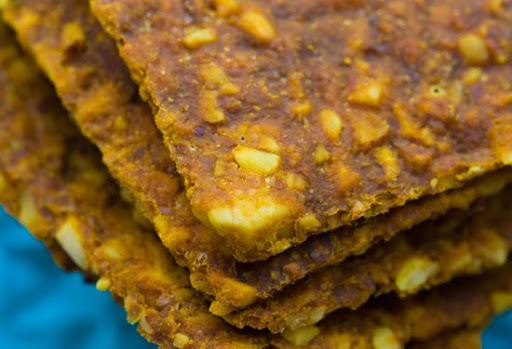 Taste Test: Crunchy, nutty, savory with a bold cheese-y flavor. 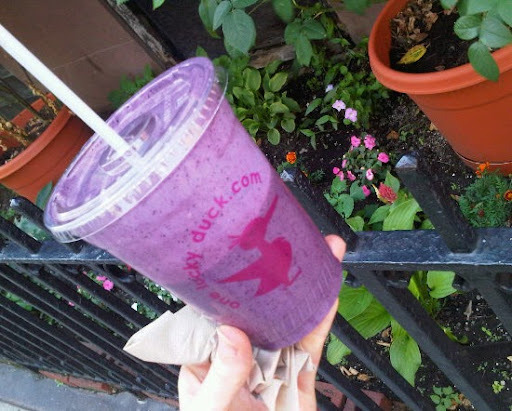 Where to Buy: Buy at One Lucky Duck in NYC. Or order online! They ship almost anywhere. Last Word: If you think you dislike "raw food" or raw snacks - give these a try and you may change your outlook.